I’m officially launching this new blog full of restaurant reviews today. It’s going to be updated with a new review every Thursday so you can go and try those places on the week-end! 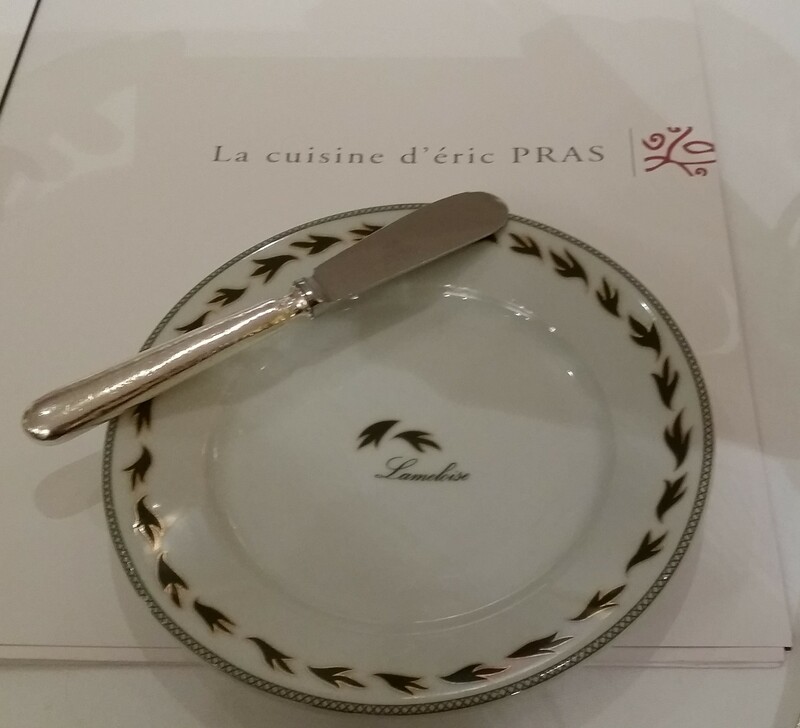 Let’s start with the third 3 Michelin Star restaurant I ever did in my life ever. 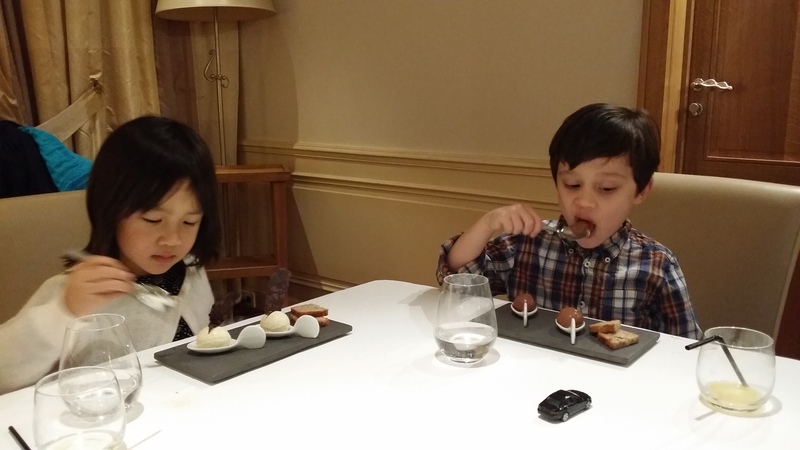 We took the kids along, aged 3 and 6 and explained to them how extra special it’s going to be and how extra special they should be feeling to try their first 3 star restaurant at this young age. Manu and I tried our first ever 3 Star when we were 30. It was Cordeillan Bages in the Bordeaux Region and the chef back then was Thierry Marx. That was memorable. 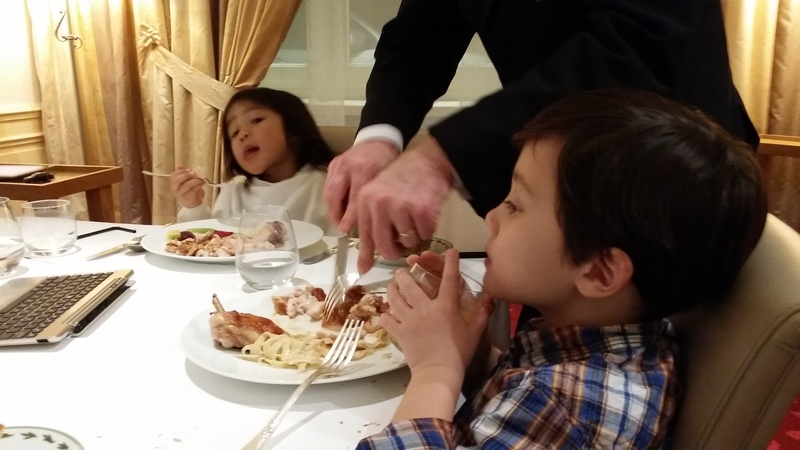 This time was different and I was curious to see how we can take children to a 3 star fine dining restaurant. I had even trained my 3 year old to play Uno a few days before as I’m not a fan of tablets… No need to say, tablets won, big time, but it was a sacrifice we had to make so we could enjoyed our dinner holistically, with great wine, great company and amazing food, from 8pm to 1am. Yup 1am, without tantrum from any kids whatsoever although we had babies from 6 months up to 6 years old. French children who don’t throw food, I give you that. we were in a private dining room with high chairs, plenty of space for the prams and no guilt with letting the kids talk, play, walk (run) around both our private space and the adjacent lounge. No fear or stress of annoying the other guests who came here to enjoy an exceptional experience too. Pheew. 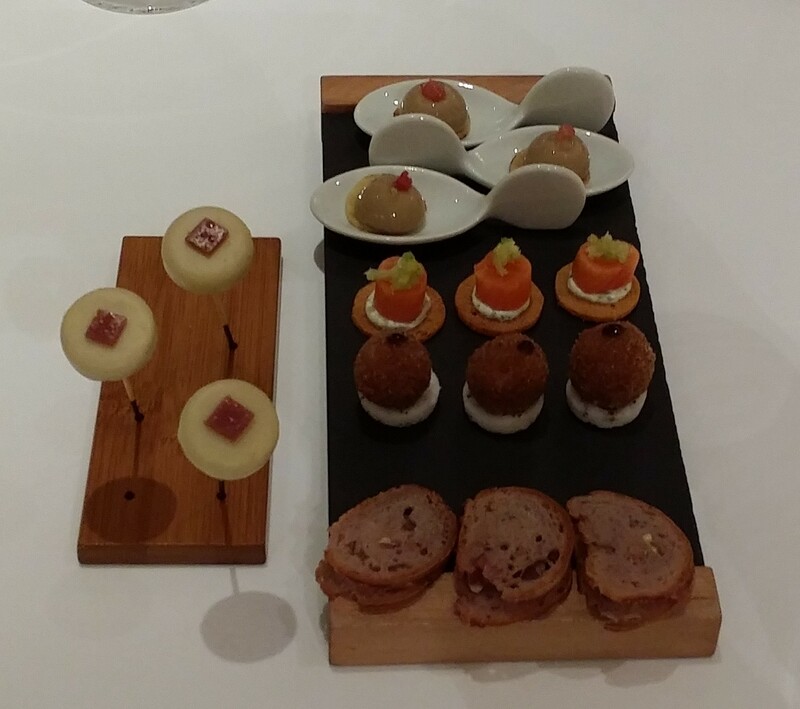 the kids menu was 25 euros including amuse bouche (same as the adults), main dish where you can choose between fish or meat, pasta, veggies or another side and dessert which was nicely presented ice cream or sorbet. the kid’s poularde de Bresse (famous chicken from that region) was so yummy, some of us had a slice. It was juicy with a crispy skin but then towards the end of the dinner we were too full to enjoy our dessert and petit fours. DOH! They do doggy bags! Well in that environnement it’s a pretty La Lameloise branded box where they kindly put the petits fours that we couldn’t fit into our poor stomachs as per above! That being said we were very happy to have stayed at their 4 star hotel accommodation. We had a lovely experience with a few extras and only needed a big room at 215 euros to comfortably fit the 4 of us. Read my review on the Maison Lameloise Hotel. Dress code: smart casual, no suit jacket needed but collar shirt for men. For us ladies, it’s such a pleasure to dress up to dine out! 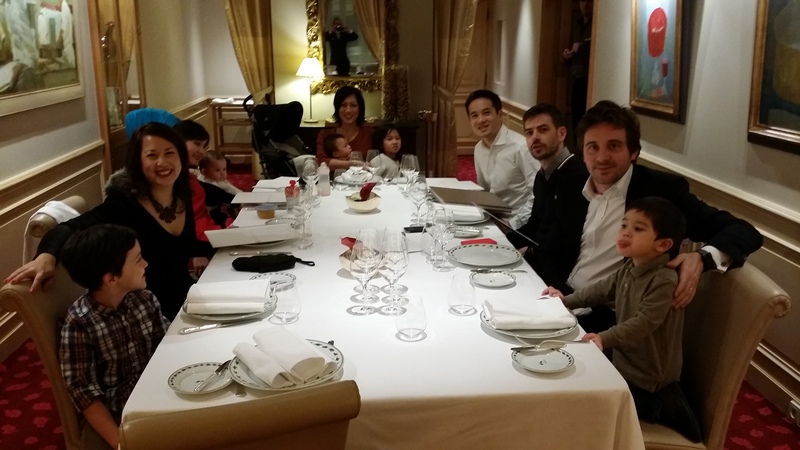 Private dining room at Lameloise with plenty of room for prams, strollers and high chair. The blue thing over my head is a pram footmuff!!! 36 place d’armes – F-71150 Chagny en Bourgogne – That’s near Beaune and only 3 and a half hour drive from Zurich! Pingback: Parenting Around The World: Zurich, Switzerland - Adventure, baby! Waht an incredible experience. I’m very surprised to hear that a 3* place caters for children so well, I really never expected it and I don’t suppose there are many others that do. Thanks for linking up to #AllAboutFrance, I look forward to reading more on your blog. thank you again for the Link up opportunity, what a great idea. I managed to update the linkage at the end of the post so more connoisseurs can read more about what France has to offer. oh how As Noma? Agree kids that age can appreciate if we explain it to them. 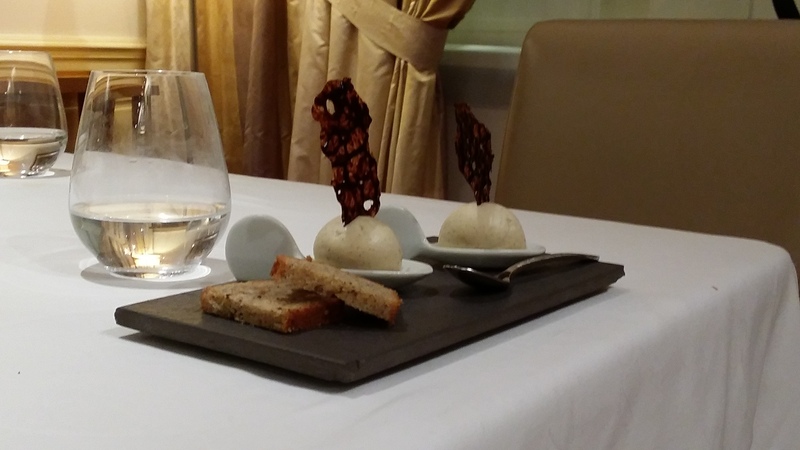 I made sure he realises what made that restaurant a 3 star one including the service, the decor, the food presentation and the taste. Let me go and check out your blog! I came over here from the All About France link-up. You are a braver person than I to go to a Michelin 3-star restaurant with kids, but it sounds like it went well! I’m amazed to hear they give doggy bags, although the concept does seem to slowly be known and practiced in some restaurants here in France. Thank you for passing by! Yes looks like doggy bags are getting less frown upon in France nowadays. What are you doing in Aveyron? It is indeed la France profonde!